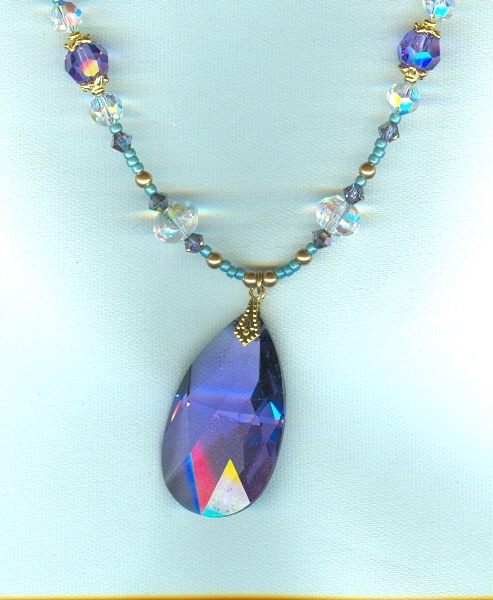 This incredible deep blue-violet colour is a product of Swarovski Crystal's chandelier division, and the 8mm beads in the strand were in production for roughly 45 minutes. All right, that's an exaggeration, but they're incredibly rare. There are six of them in the 19-inch strand, along with co-ordinating Swarovski 4mm bicones and 6mm rounds, and vintage West German faceted glass roundels that are simply superb. 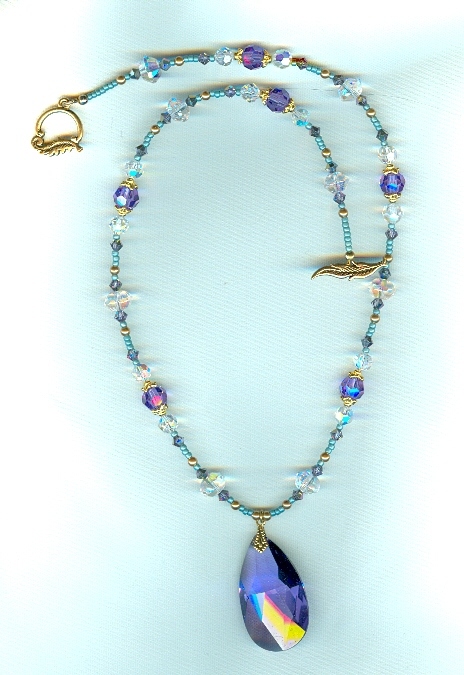 The larger beads are spaced with matte opaque turquoise seed beads and bright gold plate over pewter findings. 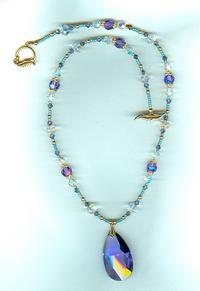 The teardrop pendant dangles about 1-5/8 inches below the strand. It's another fabulous necklace from SPARKLE PLENTY. The teardrop pendant is about 1-3/4" long, and over it I've layered a copper-coloured cross, and over that a black agate cross. The pendants are sizzling redhot, Hot HOT cinnamon-coloured cubic zirconia. There are matching beads in the 18 inch strand, too.